with Mito Specialist – Michio Hirano, MD & UMDF CEO Chuck Mohan, Jr. This meeting will provide an opportunity for individuals/families affected by Mitochondrial Disease to learn more about Mito and to network with each other. Please feel free to invite nurses, therapists, educators, and others who might benefit from the meeting. Dr. Michio Hirano is a Professor of Neurology at Columbia University in New York; Director of the H. Houston Merritt Clinical Research Center. 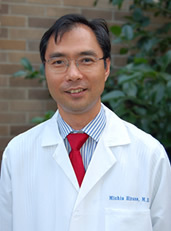 Dr. Hirano also a Principal Investigator of the North American Mitochondrial Disease Consortium (NAMDC). Mr. Mohan is the founder of the United Mitochondrial Disease Foundation. The UMDF initially began in the basement of Mr. Mohan’s home in 1996 and has grown to a national operation providing Hope, Energy and Life to the thousands of people affected by mitochondrial disease. 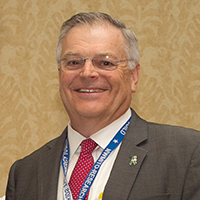 Chuck and his wife, Adrienne, lost their 15-year-old daughter, Gina, to mitochondrial disease in 1995.